The State of the American Church concerns me. 80-85% of churches are plateaued or declining. In the mid-1960’s church leaders began to notice a disturbing trend in the state of the American Church. Something previously unnoticed in America: many major denominations had ceased growing. In 1988 Win Arn, church growth pioneer, shocked the American church world with the following statement. After the shock wore off, Christian leaders began to examine more closely the state of the American Church. Arn’s statement proved to be disturbingly accurate! 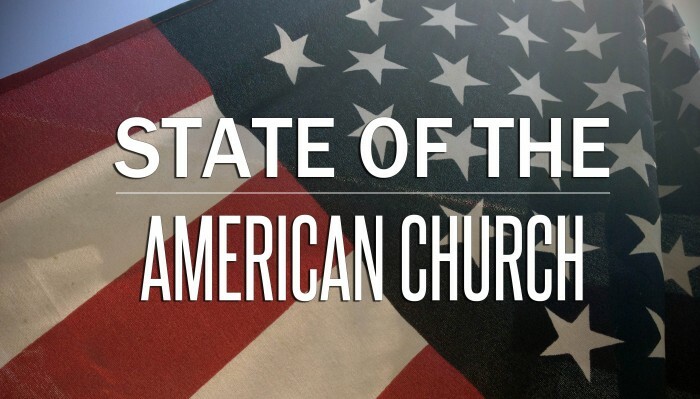 Troubling signs appear at every juncture when it comes to the state of the American Church. Church researcher David T. Olson pulls information from 200,000 churches and found that “the conditions that produce growth are simply not present. If present trends continue, the church will fall farther behind population growth.” He demonstrates that the percentage of the population attending a Christian church each weekend will decline from 20.4% in 1990 to 14.7% in 2020. “I am reluctant to direct you to pastors who have led churches into decline; not wanting to subject them to further humiliation.” He could only supply the name of one turnaround pastor. Another regional leader wrote, “We do not have any pastors in our district who meet your requirements for turnaround.” This means that this judicatory has no churches growing at a minimum rate of 2.5 percent per year! (It should be noted that the growth I refer to here is numbers of people). These examples from different regions reflect the realities that denominations, districts and churches face in present day America. The need for revitalization is great. Struggling churches, disillusioned pastors and disenchanted believers litter the church landscape. Many of the survivors have no vision for the future! They are simply hanging on by their fingernails hoping for a better day. After reading about the gloom and doom, we could easily give up and quit. However, I think there are at least three proper responses to the state of the American church. With proper care, plateaued and declining churches can become healthy and improve the state of the American church. Oftentimes pastors find they need outside leadership coaching or a strategy consultant to come on-site to guide the church in the shifts needed in order to achieve vision clarity, a strategic plan, and a leadership pipeline. We focus on the profile of the Turnaround Pastor in my book Re:Vision: The Key To Transforming Your Church. These churches have outlived any further usefulness, and need to die with dignity — investing their resources in healthy church plants and church renewal efforts. Healthy churches are normally the incubators of church plants. Vibrant, healthy churches produce healthy, vibrant offspring. This will begin the reversal of the declining and plateauing patterns we see within the Church today. We need to work together to change the state of the American Church. Thank you for access to this data. I am currently working on my research design proposal for my Doctoral dissertation, what is the date of publication of this article? Ranier in a recent blog commented that the percentage of declining and plateaued church is now 65%, not 80%, based on a survey of 1,000 churches in his denomination. My research is coming with figures more in line with this article. Thank you for your help. We actually no longer have the original publication date on this article. That data was unfortunately lost in the transfer to our new site launch this year. However, it come out prior to Rainer’s new research that came out in 2017. I think that the take-away from Rainer’s new research, which still lines up with the issues addressed in this article is that very few churches are growing due to conversions. Much of the recent growth has been transfers from closing and dying churches! I’m not sure that this is much better news. Thanks for the comment, Don. Best wishes on your dissertation! Please comment on toxic churches that seldom have external growth but, depend on internal growth from families that are a part of the toxic culture.